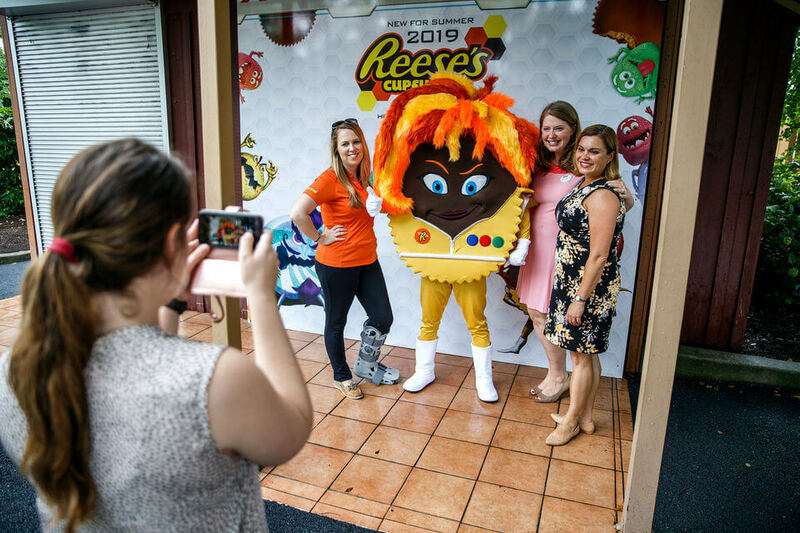 Reese's Cupfusion combines the world’s love of chocolate & peanut butter with a new dark ride gaming experience for Summer 2019! (Hershey, PA - August 2, 2018) – Hersheypark, the 121-acre amusement park in Hershey, Pa., announced today its plans for a brand new interactive dark ride, Reese’s Cupfusion. The all-new Reese’s Cupfusion attraction merges the world’s love of chocolate and peanut butter with a dark ride experience and state-of-the-art, multi-level game player technology that has something for everyone. The new interactive attraction will be located in Founder’s Way and is slated to debut for Summer of 2019. Reese’s Cupfusion will engage multiple senses during the ride; sight, smell, touch and sound. The love for Reese’s is the center of it all as guests experience interactive family game play throughout the attraction with multiple ways to earn points. The rider becomes a Reese’s Agent Trainee at Reese’s Central, a futuristic factory that runs on Reese’s Spirit. At the heart of Reese’s Central is the legendary Crystal Cup, which collects and amplifies the love of chocolate and peanut butter to create Cupfusion Energy that powers the factory. 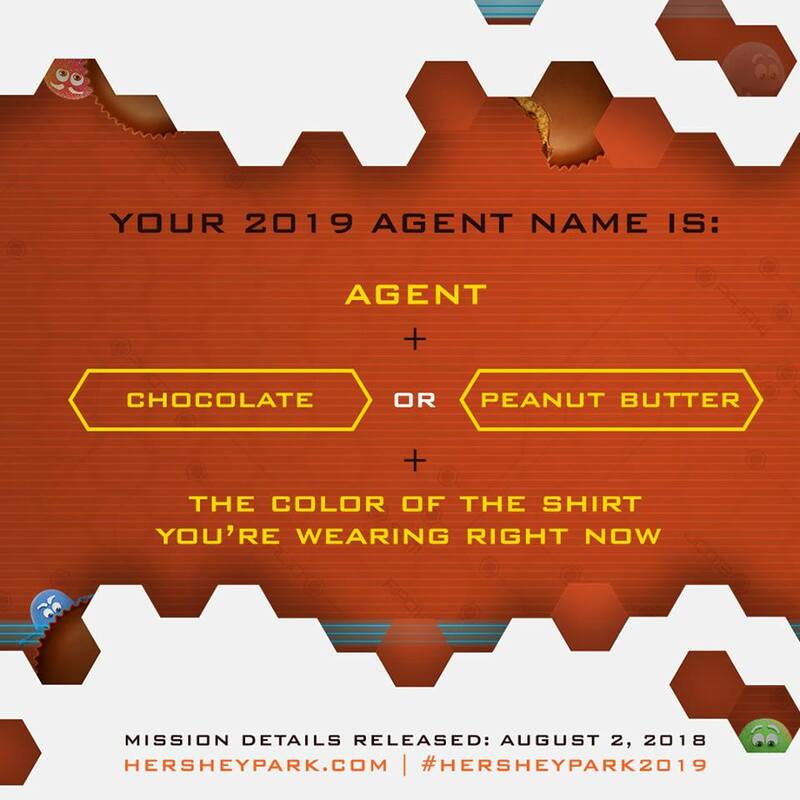 As a Reese’s Agent Trainee, it’s the guests’ mission to protect the Crystal Cup and ensure that the factory keeps running under the guidance of Commander Cup, a new character to be introduced in 2019. Other new characters like Mint the Merciless and The League of Misfit Candy are always around the corner trying to steal the Crystal Cup for their own “evil” purposes. Guests can unlock additional features and try to beat their score with every ride to become a Reese’s Legend in the Hall of Fame. Sally Corporation is the manufacturer of the attraction and Raven Sun Creative will handle the design elements of Reese’s Cupfusion. The ride is family-friendly with a height requirement of a Kisses category and up (36” and up). Kisses and Reese’s height categories must be accompanied by a supervising companion to ride. The new attraction joins more than 70 rides available for guests during the 2019 season at Hersheypark Amusement Park as part of a 3-parks-in-one Hersheypark admission, including ZooAmerica North American Wildlife Park and The Boardwalk At Hersheypark water park. Unlimited visits to Hersheypark are just one of the many benefits of purchasing a 2019 Hersheypark Season Pass. Purchase by September 30, 2018, for 8 payments of less than $19 and the best price of the year. For information about the new attraction, 2019 Hersheypark Season Passes, offers and more, visit www.hersheypark.com. To stay current on all the happenings at Hersheypark, please connect with our branded social media channels – Hersheypark on Instagram, Facebook and Twitter and #Hersheypark2019. To view the mission video, go to Hersheypark.com/2019. Mint the Merciless and The League of Misfit Candy are permanently banned from Reese'sCentral. In the event of a security breach, notify Commander Cup immediately.